After the superblock (proposal payment) has passed in September, we were able to collect some hang and crash memory dumps. 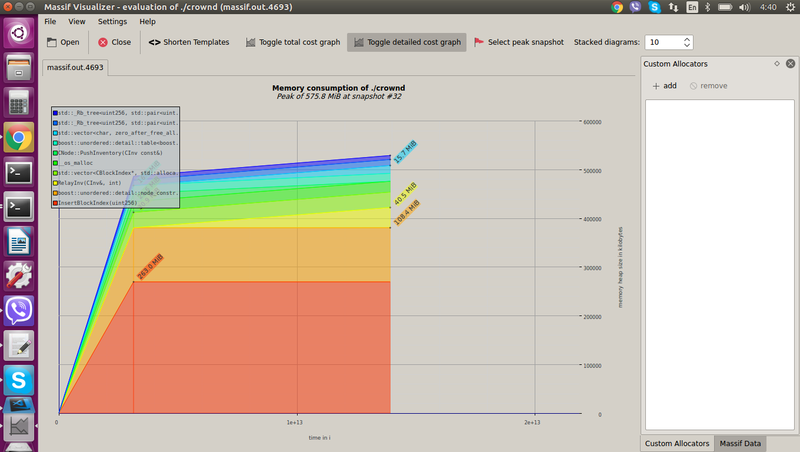 It doesn’t look like it has anything to do with memory leaks (see the image of RAM usage analysis below). Rather the problem is with the governance system thread synchronization. There is a deadlock, that probably leads execution to the data segment instead of the code segment. A core developer (Volodymyr) analyzed all the dumps and eventually restructured thread synchronization for the governance system. The fix is is ready to be tested. I was working on the ground layer registration protocol and have finished registration transaction implementation and JSON RPC API to register new entities. I have added another new transaction type that will define a protocol for each entity being registered. The protocol was generalized and will become a layer to register/issue new non-fungible (unique) tokens. You can read more about NF tokens here. The work is in progress, a lot of different pieces are at the implementation stage. A separate comprehensive article about it will be released in the coming months. Chris (aka dzlbobo) is finishing testing the migration of new Crown addresses. Everything looks good so far. There are also other non-core tasks list to make changes to all other existing CRW wallets. Once the address prefix is unique for Crown, we can be added to Trezor (implementation nearly complete) and Ledger in the future. Ashot will also implement a converter for paperwallets to import old-type addresses. The custom Proof-of-Stake protocol is being developed by an external development team from Paddington Software Services LLC. It’s a new Proof-of-Stake mechanism that utilizes the network of Crown Masternodes and Systemnodes. 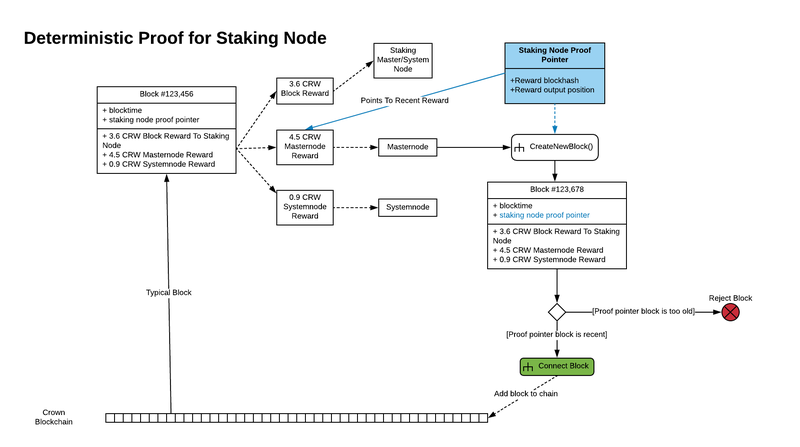 Anyone who owns a Systemnode or a Masternode will be able to automatically take part in the consensus protocol by fair staking rules. We expect it will make the Crown network more decentralized and secure, and simplify the staking process for the node holders. 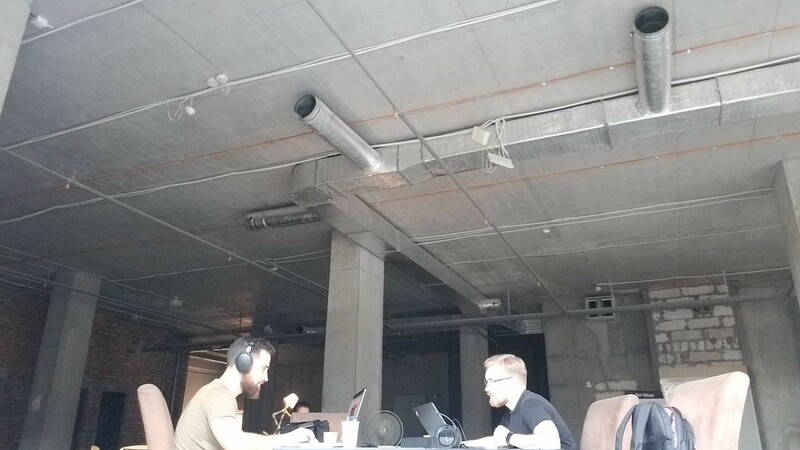 The PoS team now is working on launching a new separate testnet to test the first version of Crown PoS protocol. The build and instructions for public testing will be available next week. Tom (presstab) told me that he pre-mined enough coins for this network, so people who want to test it using Masternodes or Systemnodes can join the new network and see how the protocol is going to work. This internal 6 weeks milestone will finish today, on 21st of September. The next one will start right after the planning meeting.